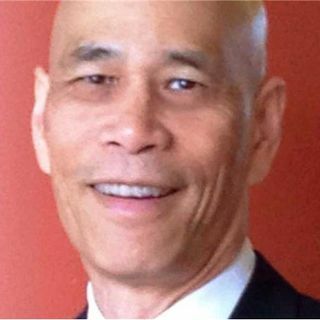 Kelvin H. Chin is the Executive Director and Founder of both the Overcoming the Fear of Death Foundation and the non-profit TurningWithin.org. Working with audiences on death and dying issues since the 1980s, Kelvin has taught numerous seminars for the healthcare industry, was a state-certified Long Term Care Ombudsman for the California Department of Aging, and a co-founder of the Center for Medical Ethics and Mediation. Bringing greater clarity to his client’s thinking in their personal and ... See More business life is something Kelvin has applied throughout his 40-year career, including teaching meditation worldwide to more than 1,000 people since the 1970s in schools, businesses, the U.S. Army and at West Point. His new book is entitled, “Overcoming the Fear of Death - Through Each of the 4 Main Belief Systems.” Visit www.OvercomingtheFearofDeath.org and www.TurningWithin.org. Get the Off the Grid Into the Heart CD by Sister Jenna. Like America Meditating & on Twitter. Download Pause for Peace App for Apple or Android.